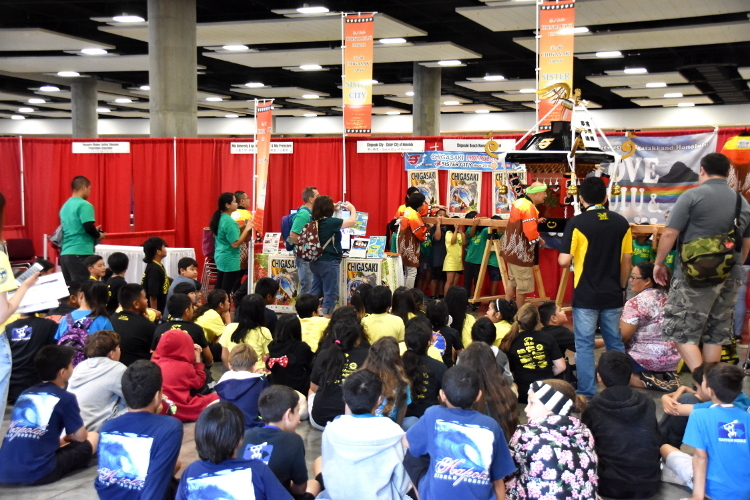 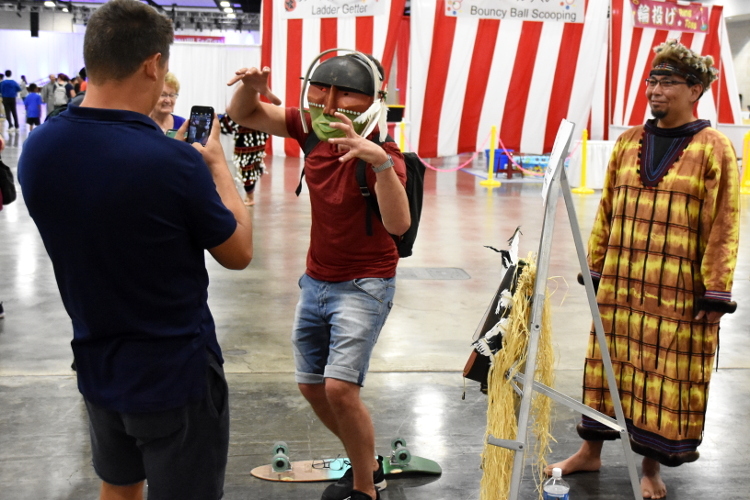 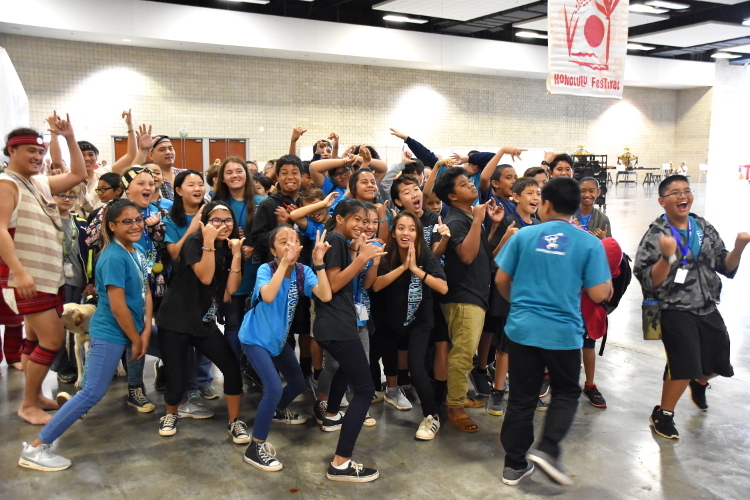 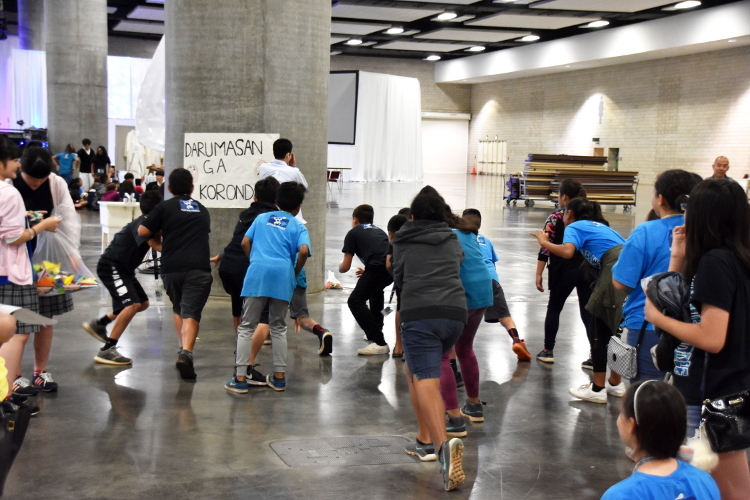 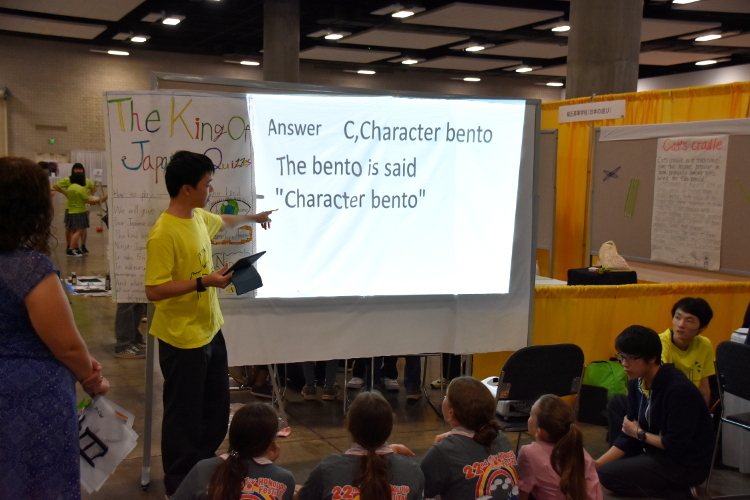 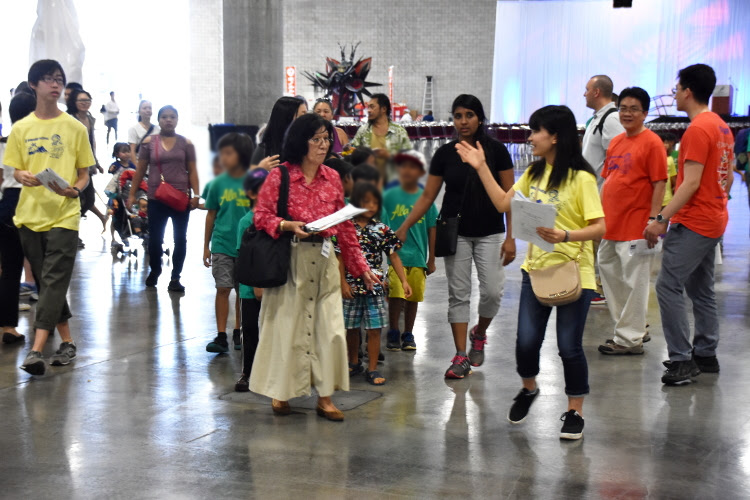 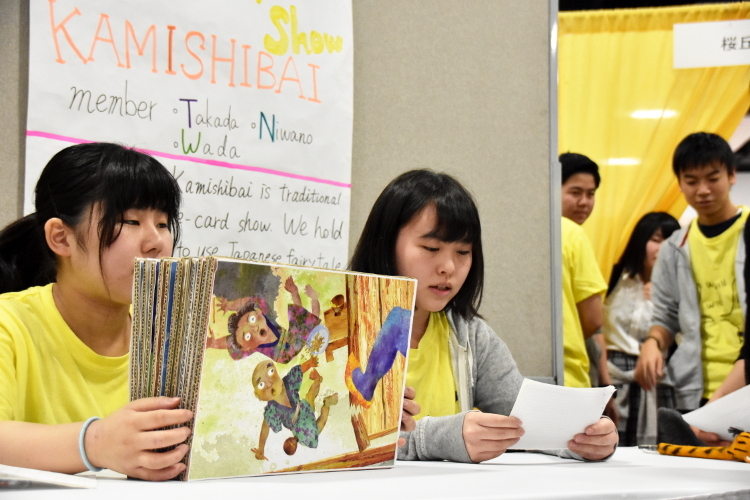 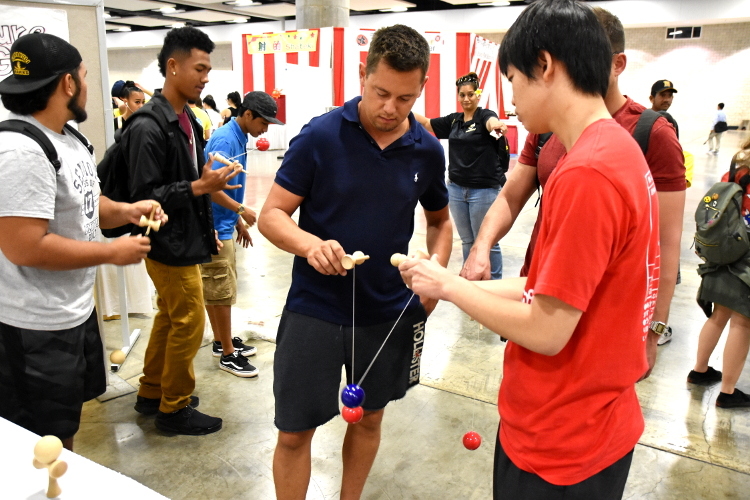 The Educational School Tour was held at the Hawaii Convention Center on the first day of the 23rd Annual Honolulu Festival, Friday, March 10. 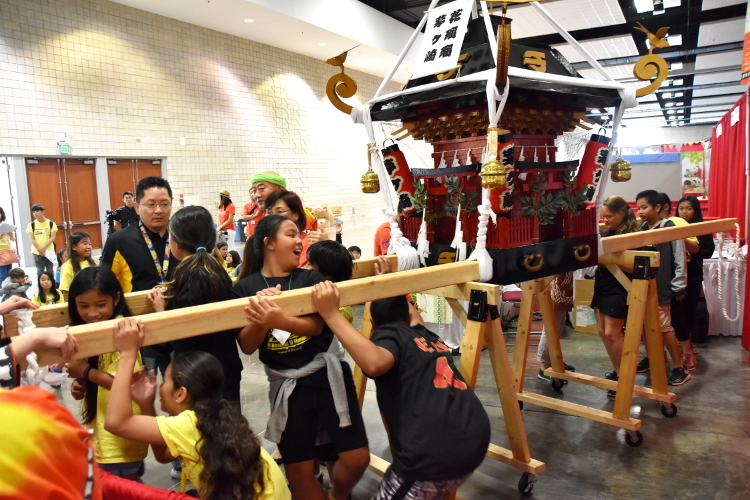 The Honolulu Festival Foundation is hosting the Honolulu Festival under 3 themes of “cultural exchange”, “education” and “environment”, instead of only for festive purpose. 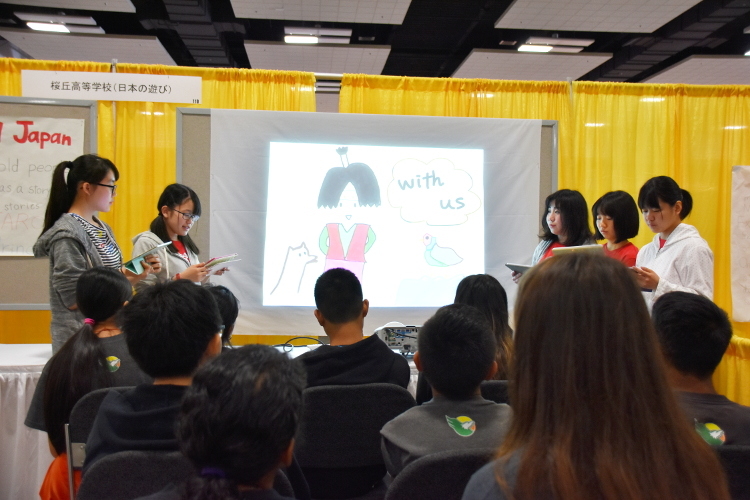 The Educational School Tour is related to our theme of education. 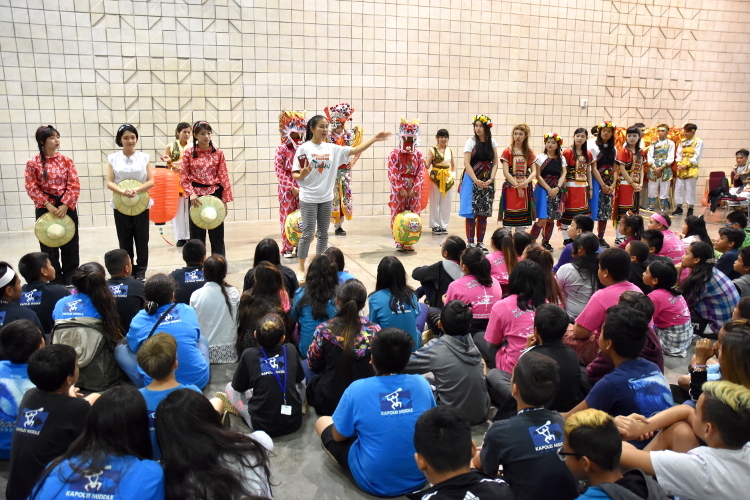 The local students from elementary through high school will be invited to learn diverse cultures. 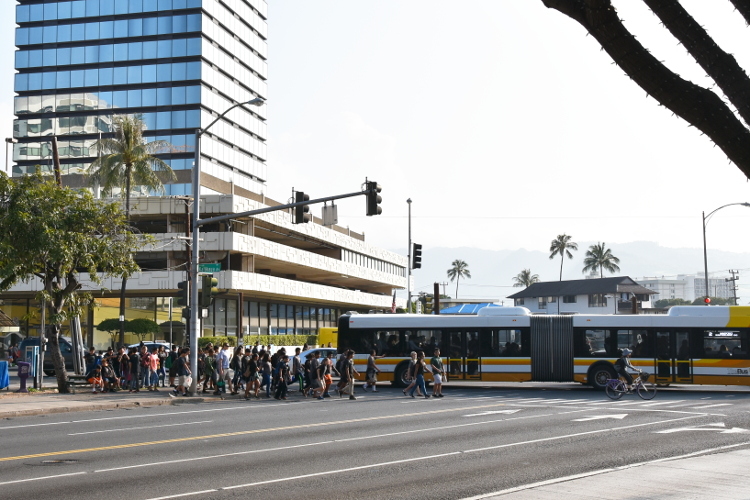 The time was 8:30 a.m. 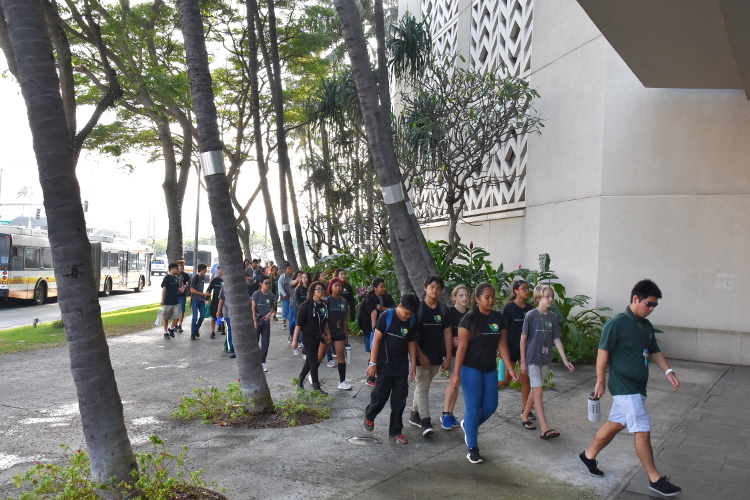 The students from different areas of Oahu got off the buses and gathered by the Hawaii Convention Center. 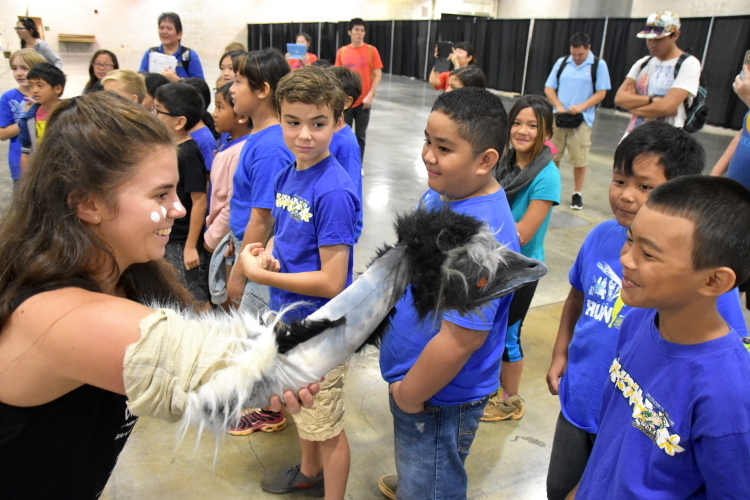 This year, 14 local schools were invited in which there were over 1,000 students. 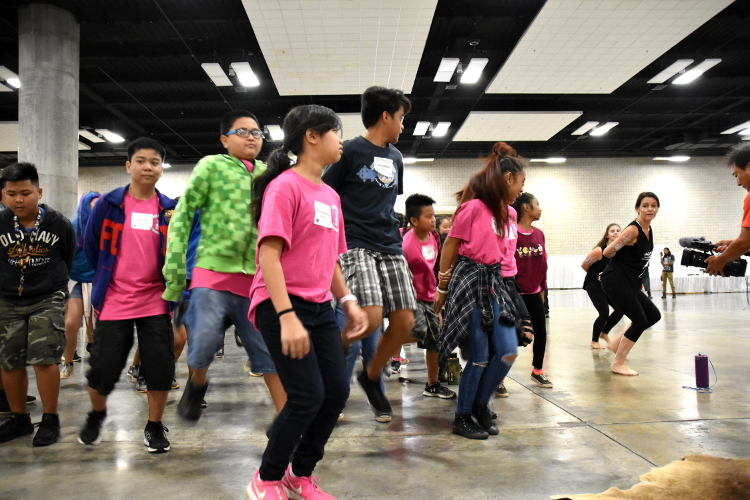 Those students learned and experienced different cultures from 11 performing groups of various countries. 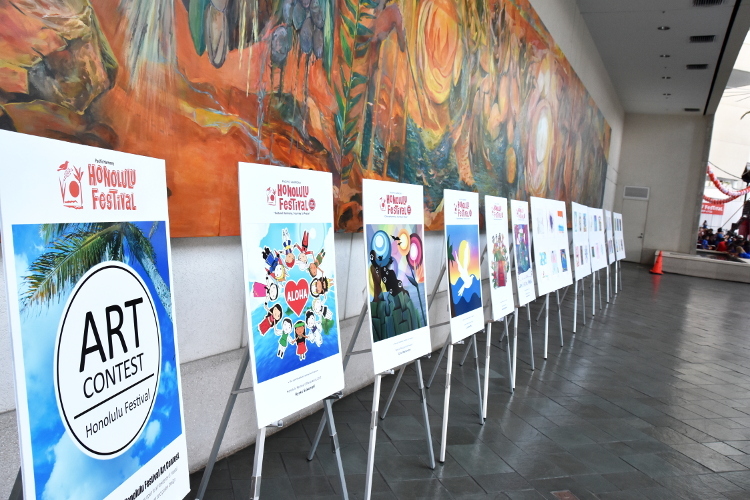 Furthermore, the artworks from the Honolulu Festival Art Contest were displayed on the entrance floor this year as well. 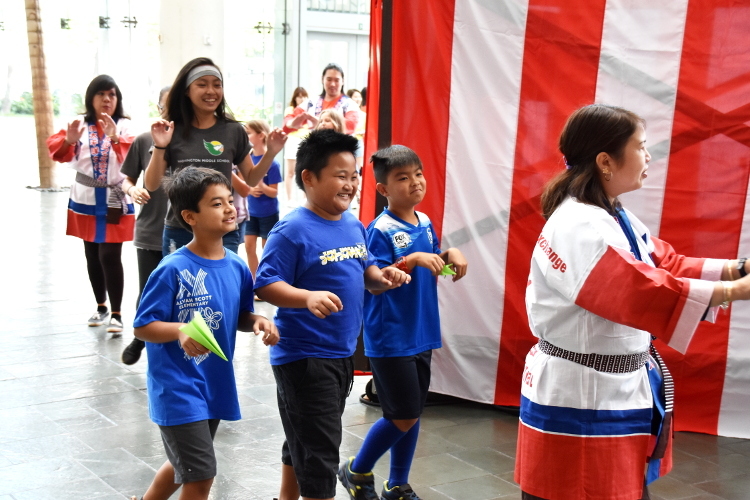 This contest was opened to a wide range of applicants including elementary students and general public from June of last year. 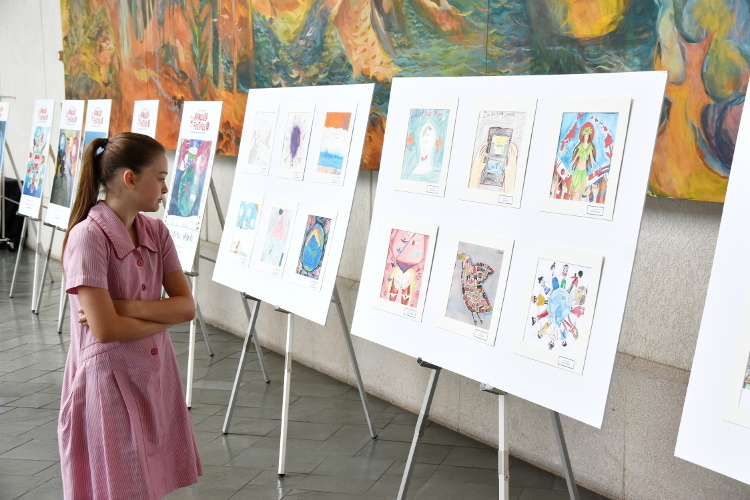 We’ve received a total of 30 artworks which were designed under our sub-theme of “Cultural Harmony, Journey to Peace”. 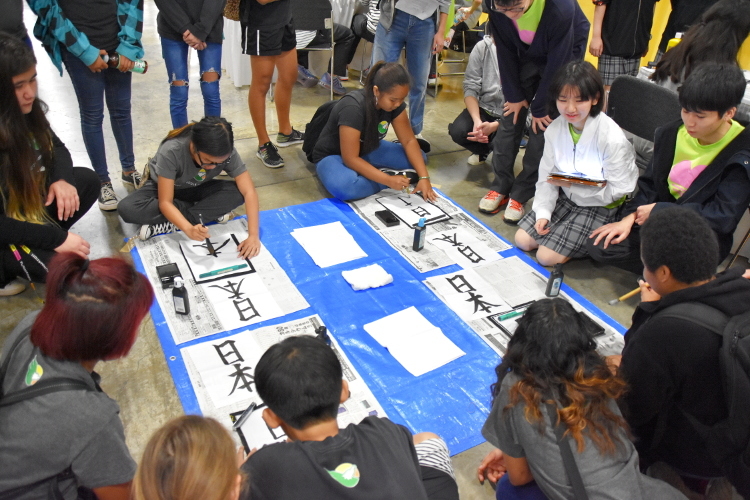 The students were divided into small groups after their arrival. 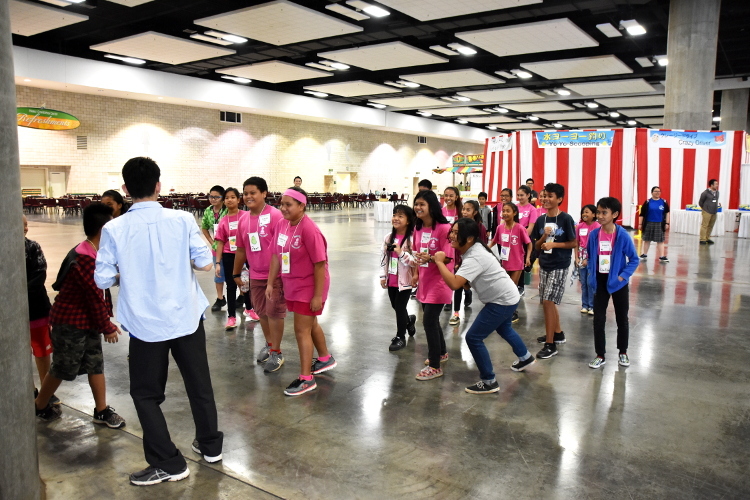 Then, they were led by the volunteers who were in charge of guiding those students to each booth. 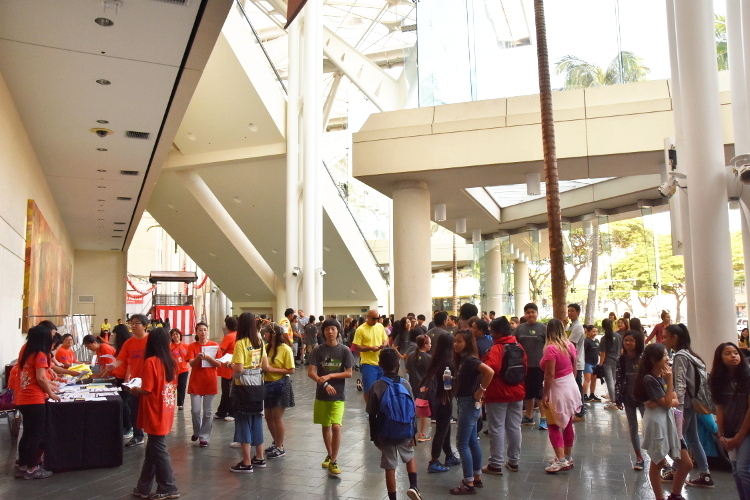 It is true that the assistance from these volunteers is one of the important factors in developing our event. 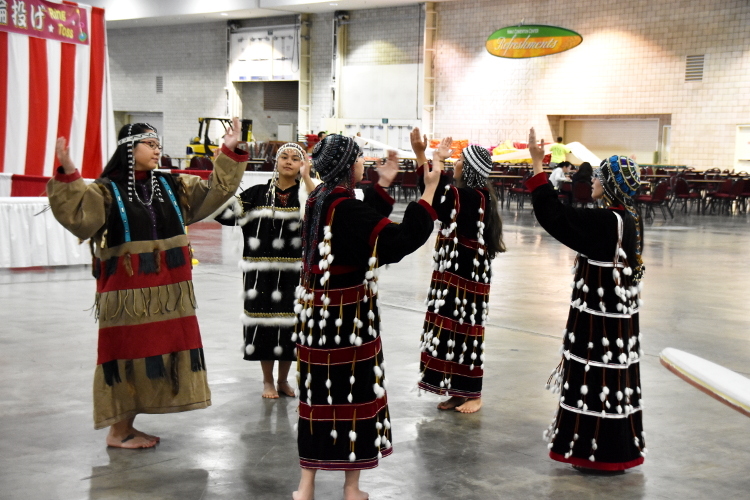 Wagana Aboriginal Dancers from Australia. 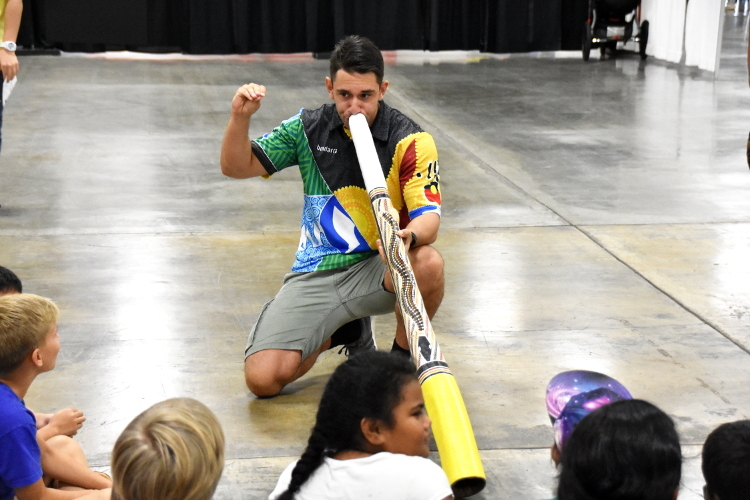 This cylindrical-shaped instrument, didgeridoo is a wind instrument developed by Aboriginal Australians. 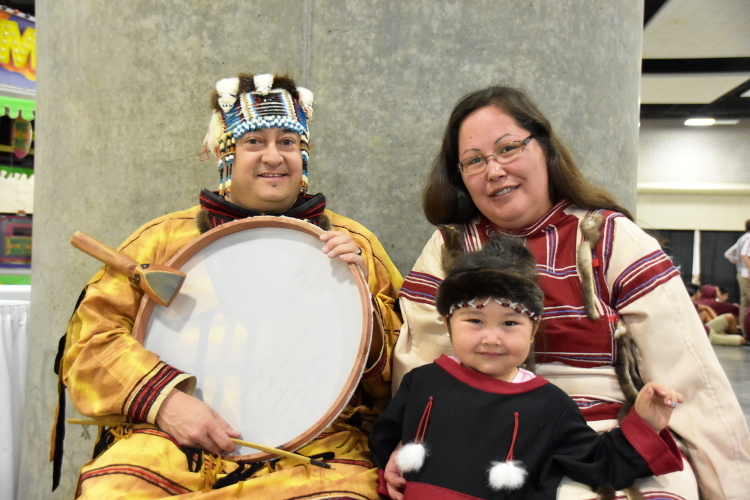 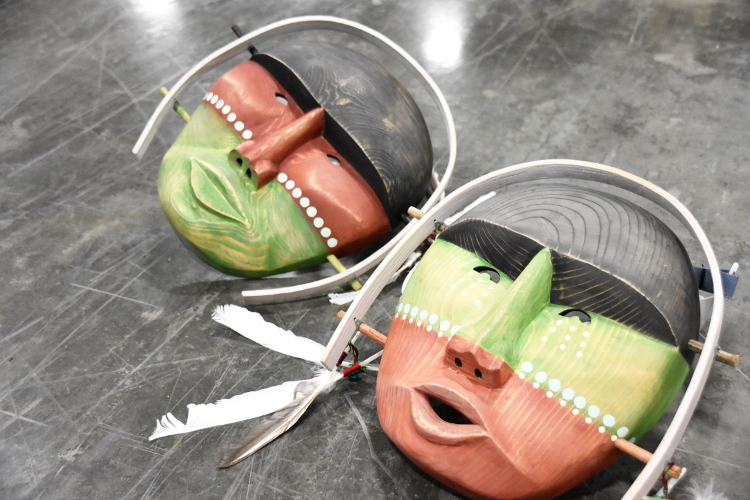 They performed a native Alaskan dance, dressed in traditional regalia. 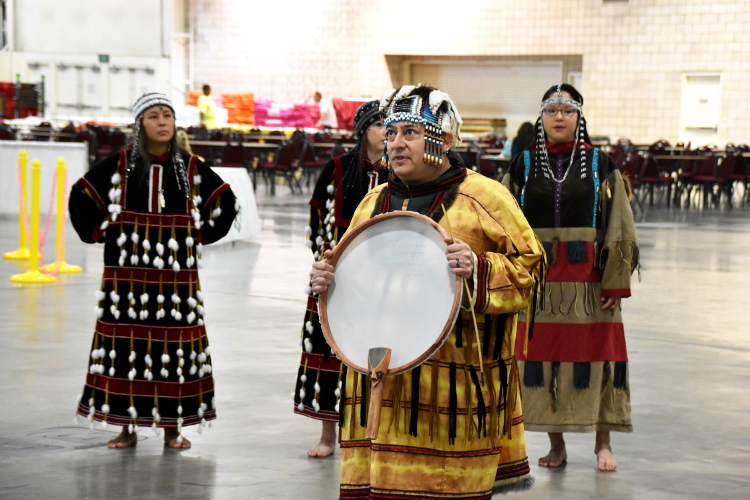 They were spinning while drumming their leather-covered drum. 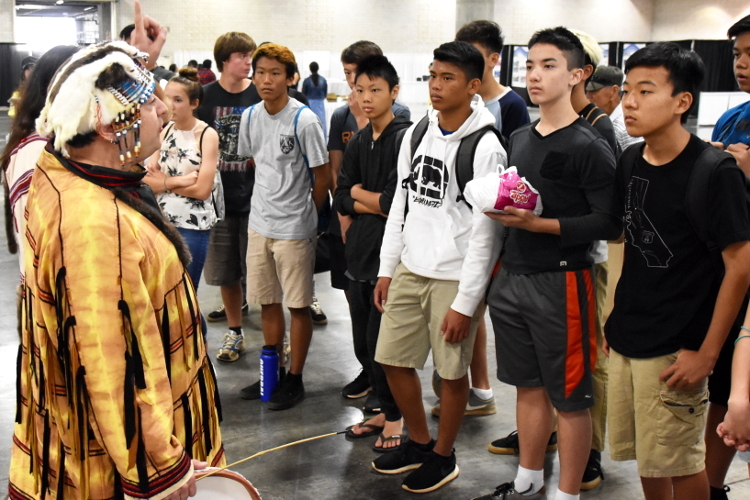 Their rough appearance and mysterious mask fascinated the students. 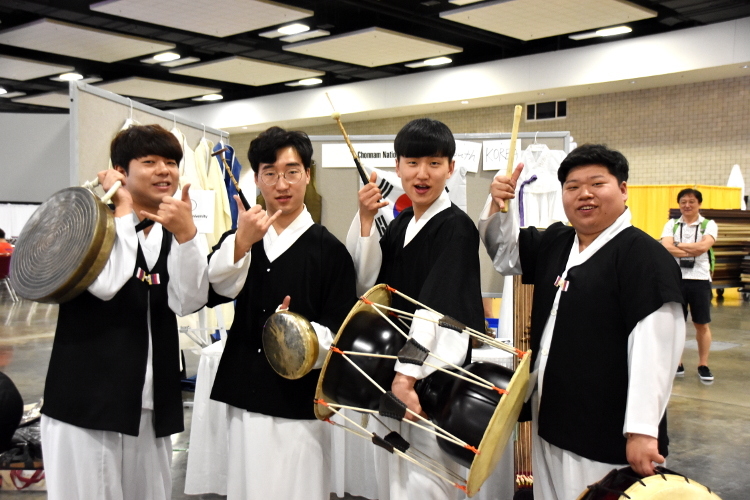 The group of Chonnam University performed traditional Korean music. 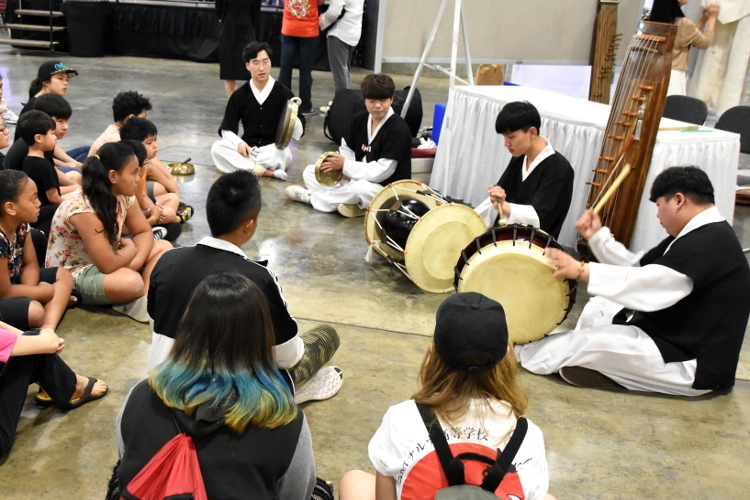 The sounds of drum and gong resonated rhythmically throughout the venue which attracted attentions. 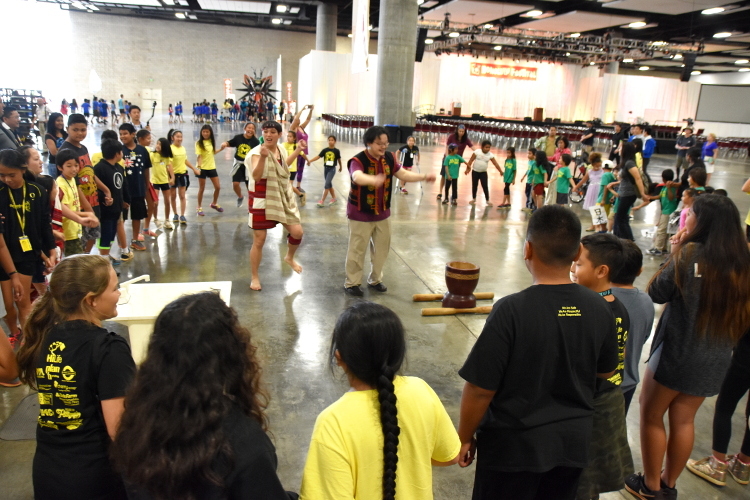 The Hawaiian Taiwanese Center. 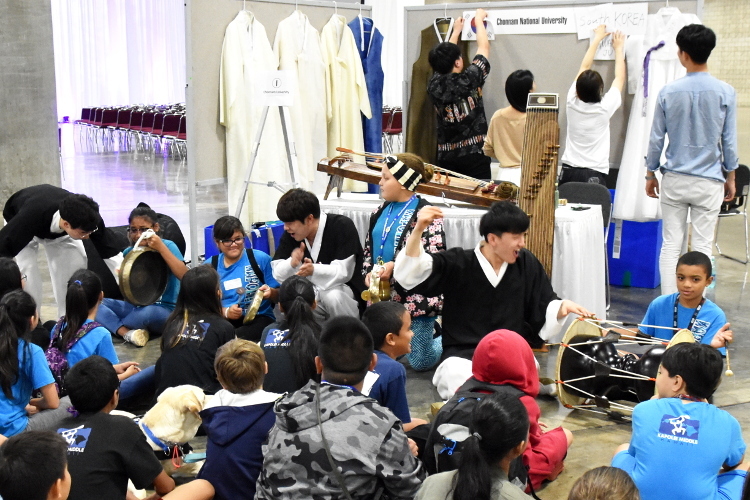 It was memorable to see the students shyly playing the traditional percussion instrument which looked like the xylophone. 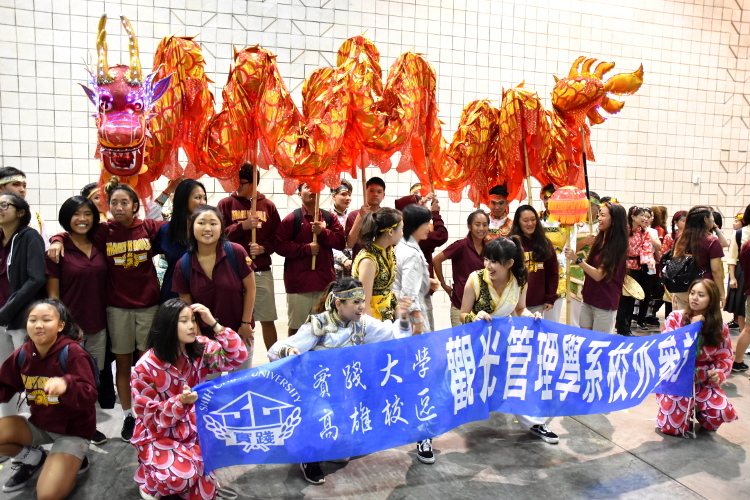 Taiwanese Association of America, Hawaii Chapter. 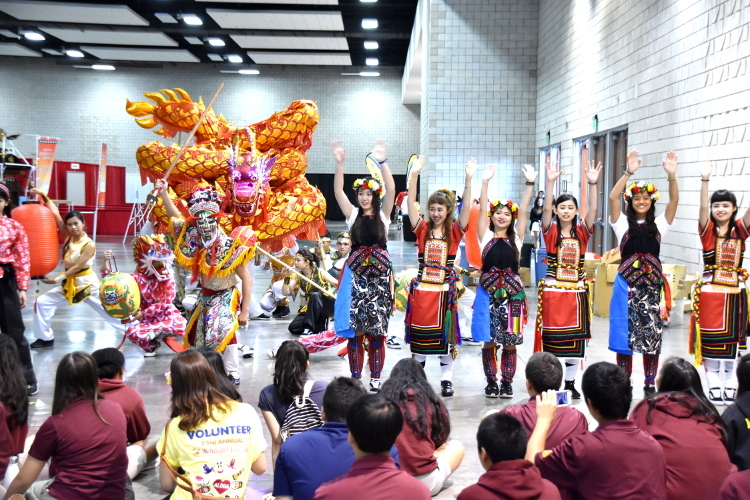 The students got really excited by the performer’s gorgeous traditional costumes and their dragon dance. 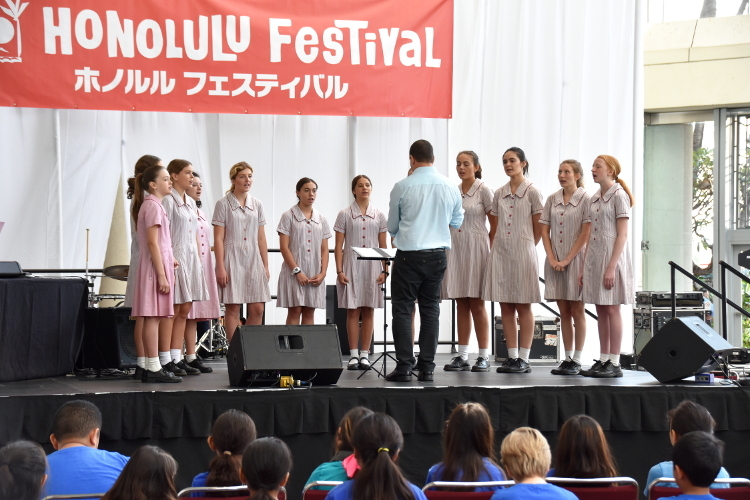 The group of Stella Maris College Sydney performed a chorus including brass brand performance. 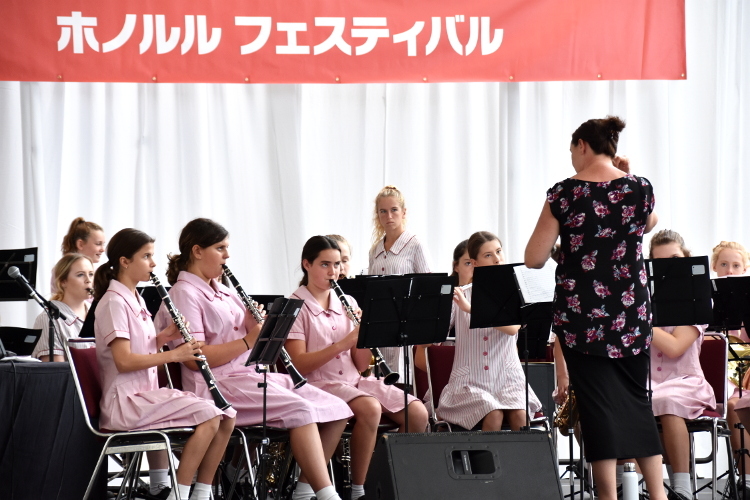 The students were intrigued by the beautiful melody in which they relaxed and listened to the music. 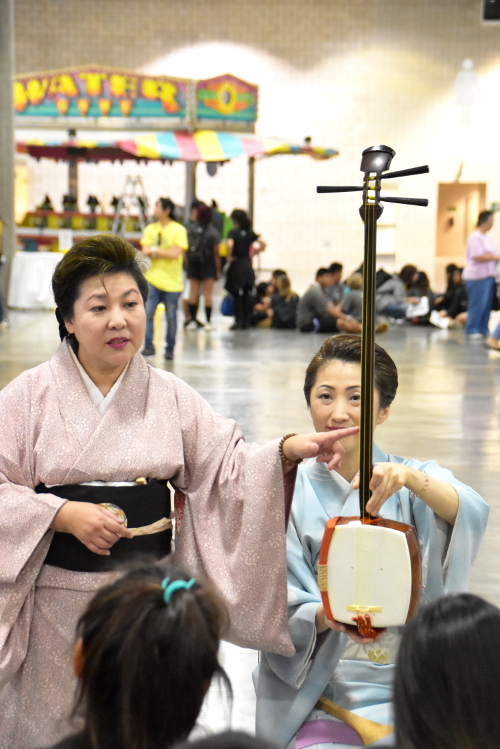 They kindly introduced the Japanese traditional shamisen and nagauta (long song). 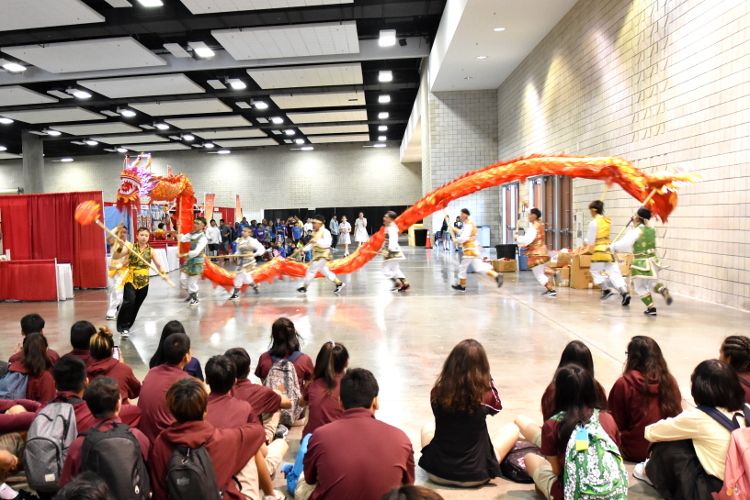 The students were entranced by the skillful performance. 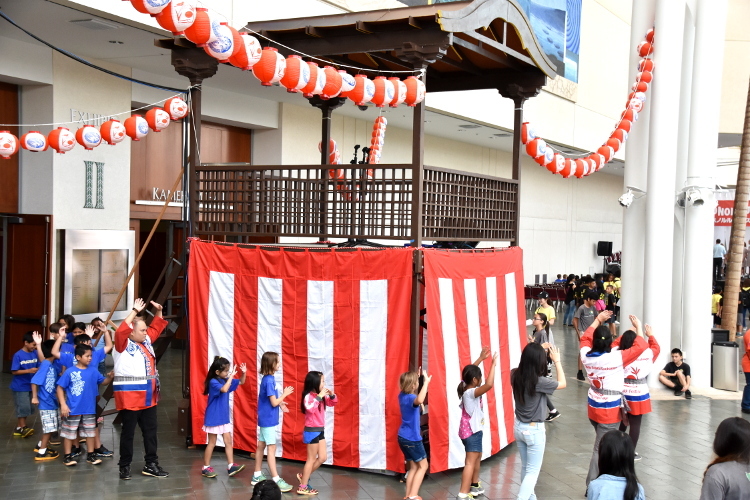 The students danced around the yagura (scaffold) with a traditional Japanese music. 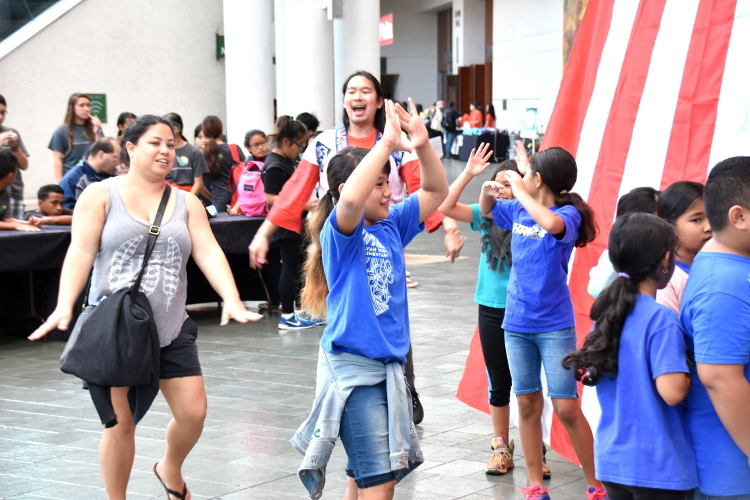 They were very excited! 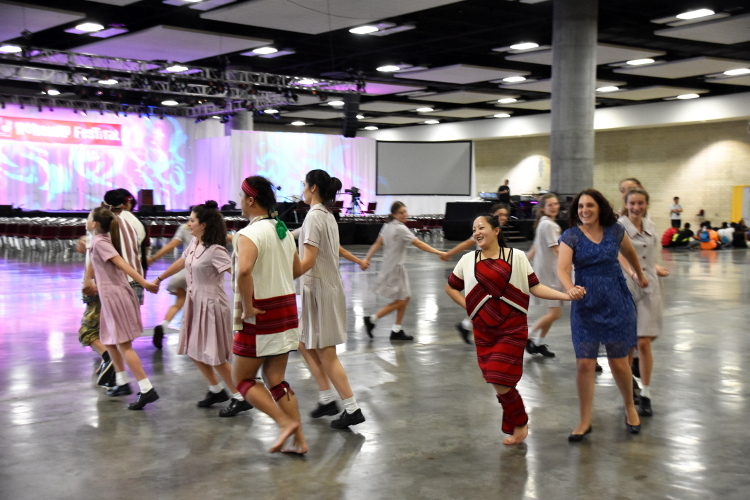 Even though the language may be different, the joy of music and dance is universal. 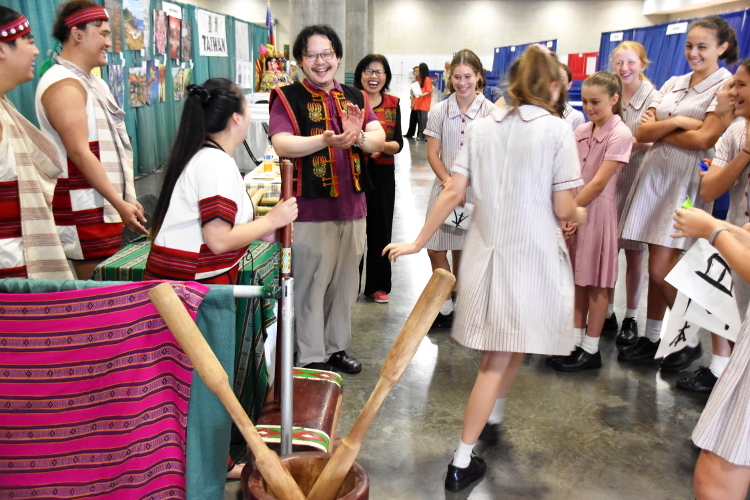 The students must have had a great learning experience through various cultures. 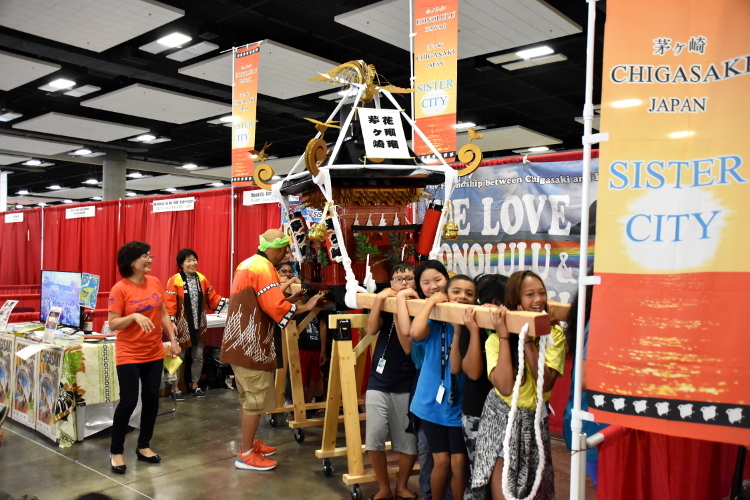 The Honolulu Daijayama is a must for the Honolulu Festival’s Grand Parade. 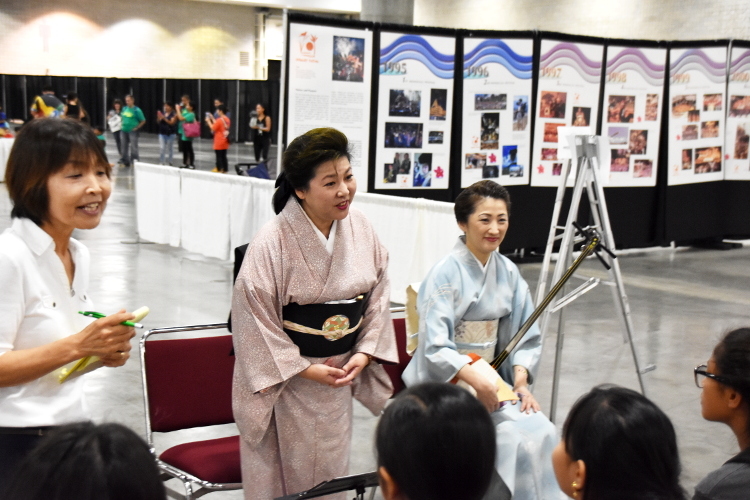 Its cart was exhibited inside the venue, which is a chance to closely observe the head of Daijayama. 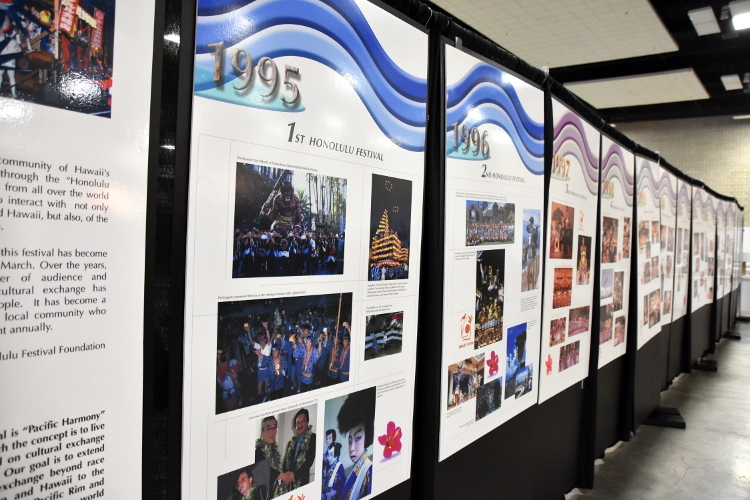 This exhibition is held every year because of the strong relationship between Daijayama and the Honolulu Festival. 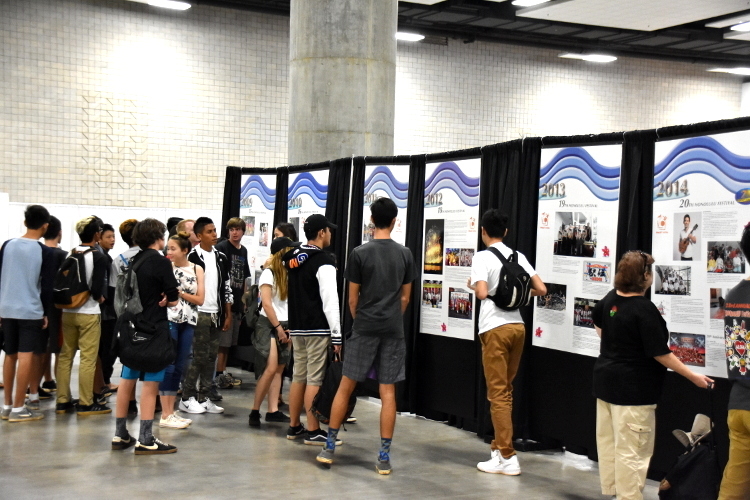 Also, there was a display panel that showed the history of the Honolulu Festival which the directors of the Honolulu Festival Foundation were the storytellers who deeply focused on its subject. 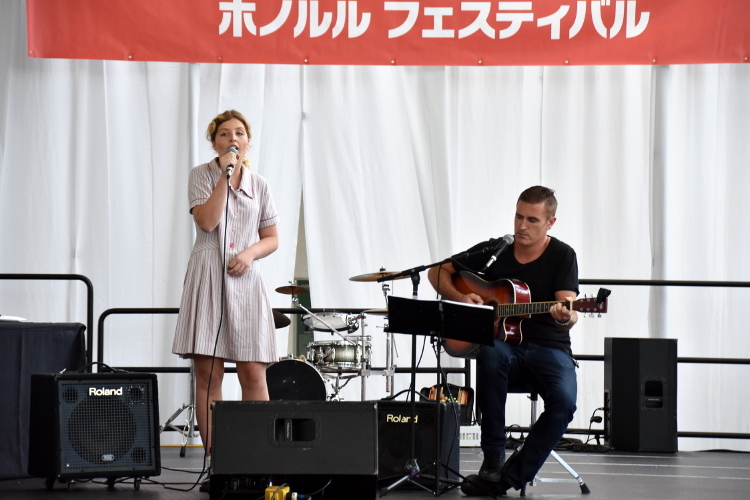 The Honolulu Daijayama from Omuta, Fukuoka. 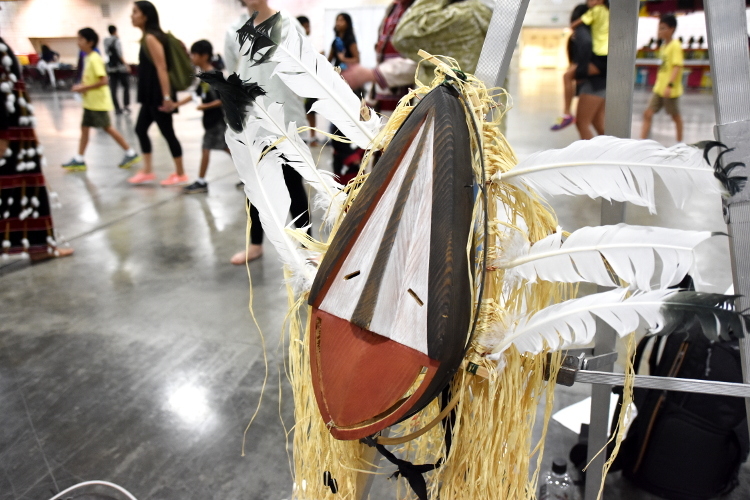 According to the folktale,, Daija was the god of water that protected children’s health and enriched the farmlands. 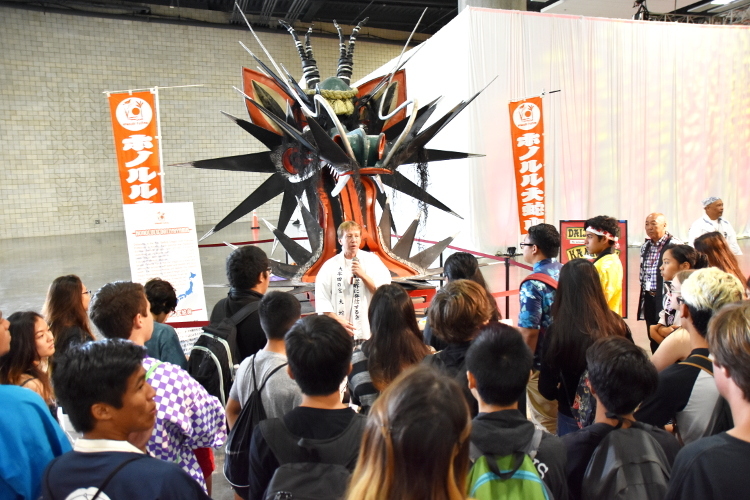 Were the students overwhelmed by its powerful appearance!? 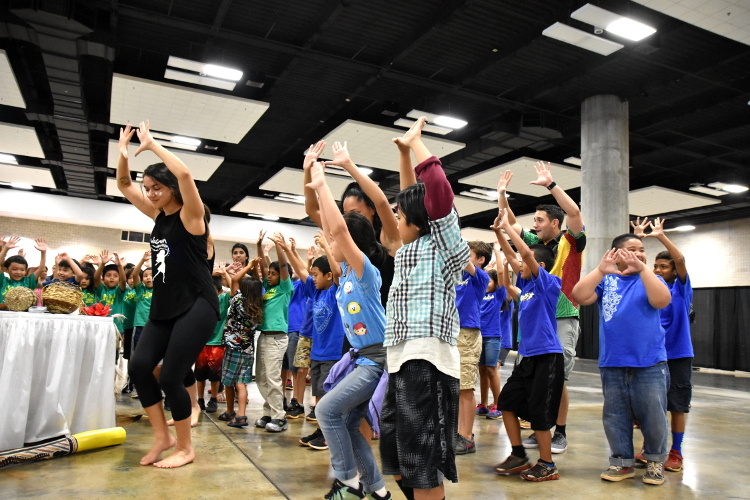 Looking back at the history of the Honolulu Festival from its first year to its recent years. 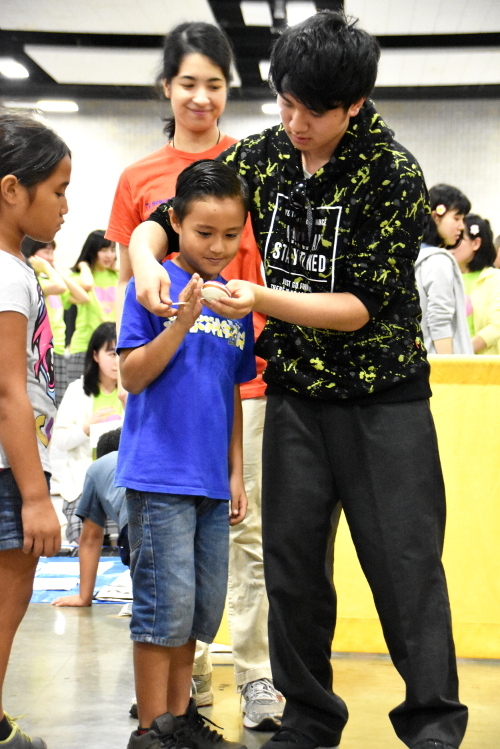 Its about learning the past for the future. 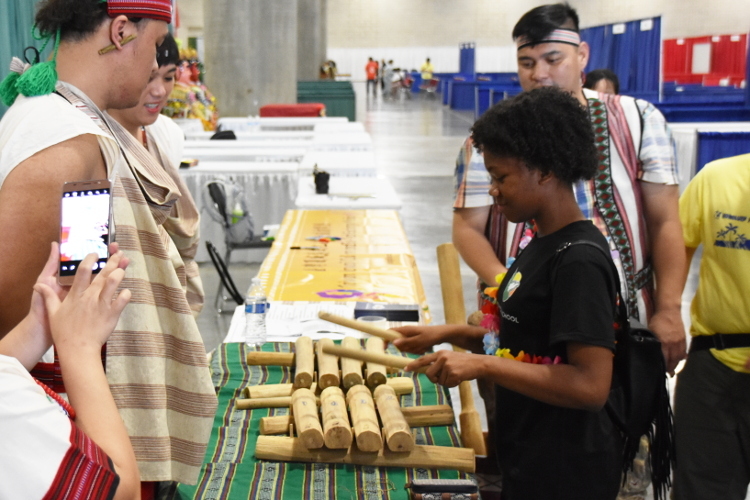 The students were able to enjoy various cultures by watching and experiencing in person. 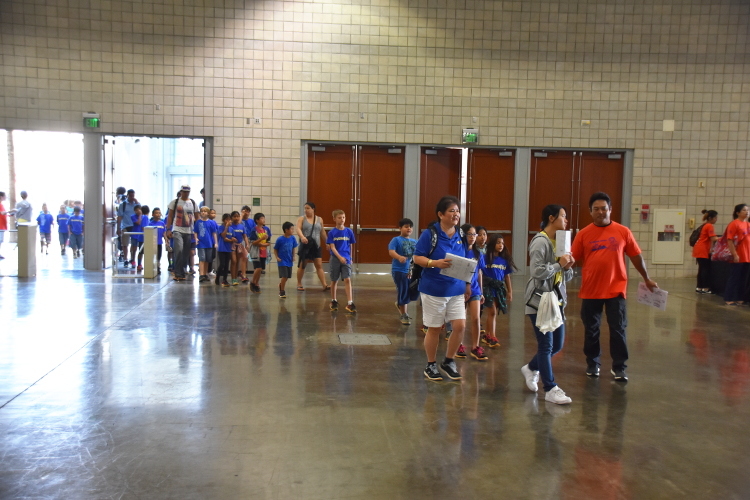 Here are the pictures of various scenes at the Educational School Tours. 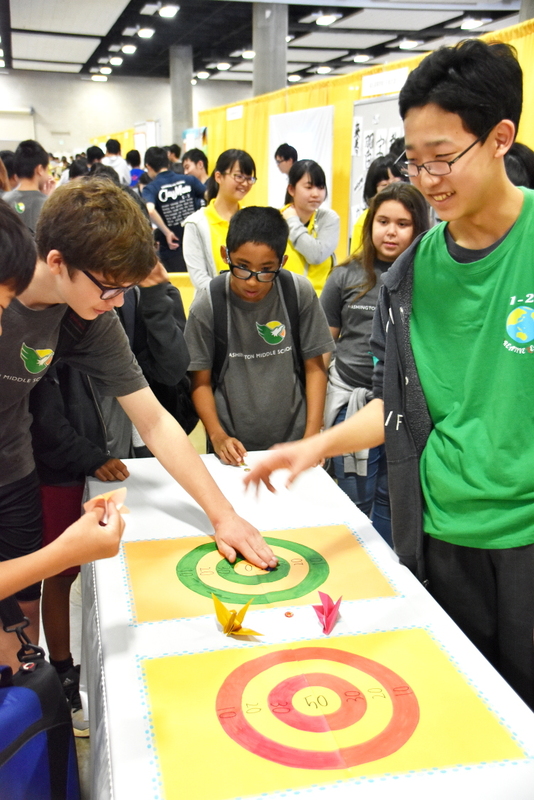 It was memorable to see those smiling students who were fearlessly interacting with people from different countries due to their curiosity. 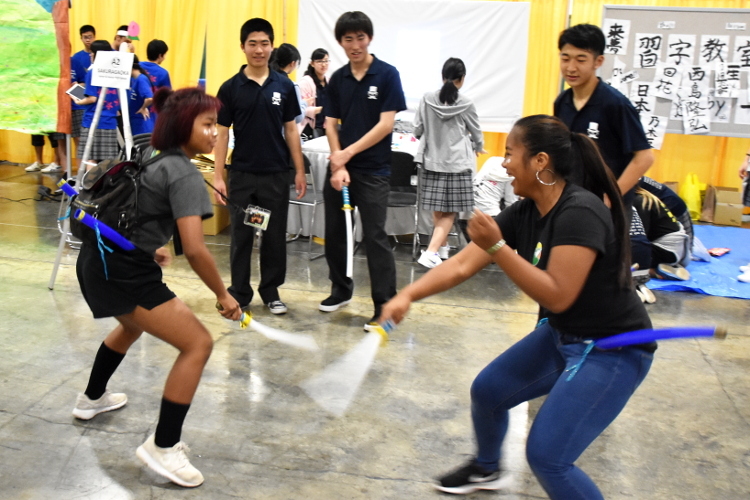 The students of Sakuragaoka Junior & Senior High School, who were very popular at the Educational School Tour last year were also outstanding this year. 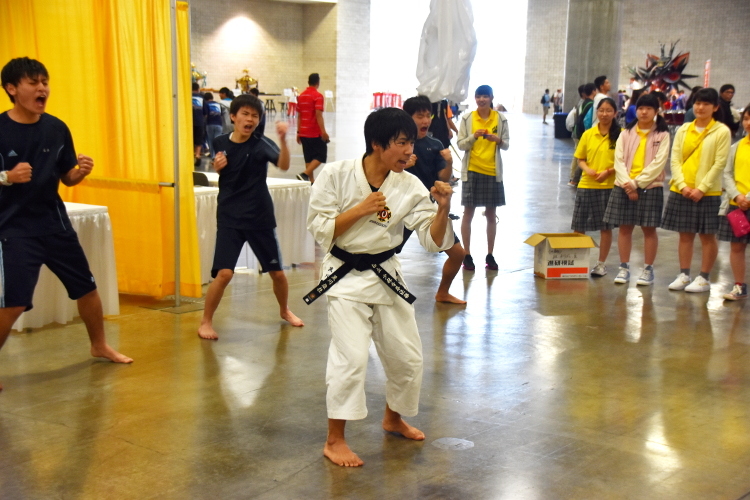 Shorinji Kempo involves vigorous shouts and speedy power. 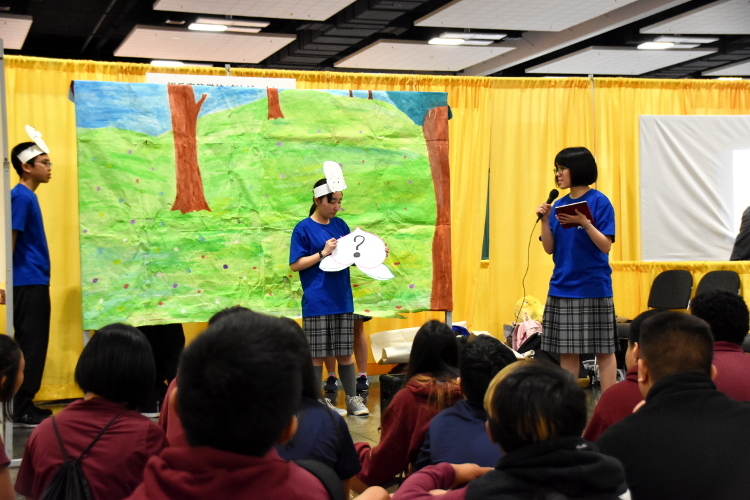 The crowd gave a big cheer and applause to such a powerful performance. 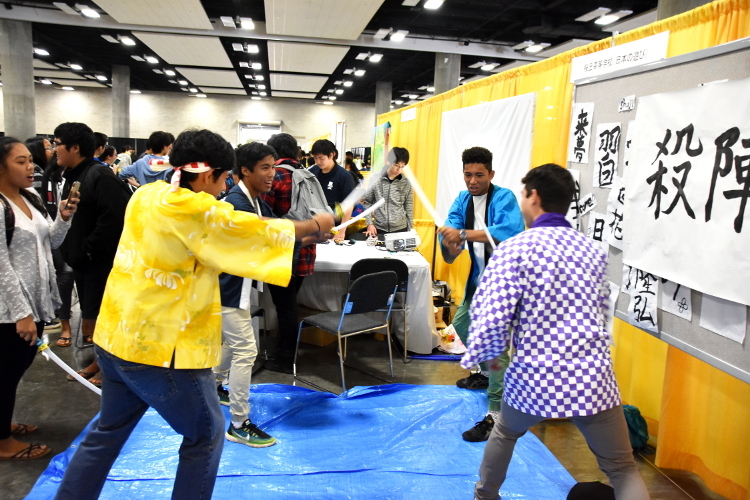 Also, “Daruma-san ga koronda (Red Light, Green Light)” and sword fighting were popular. 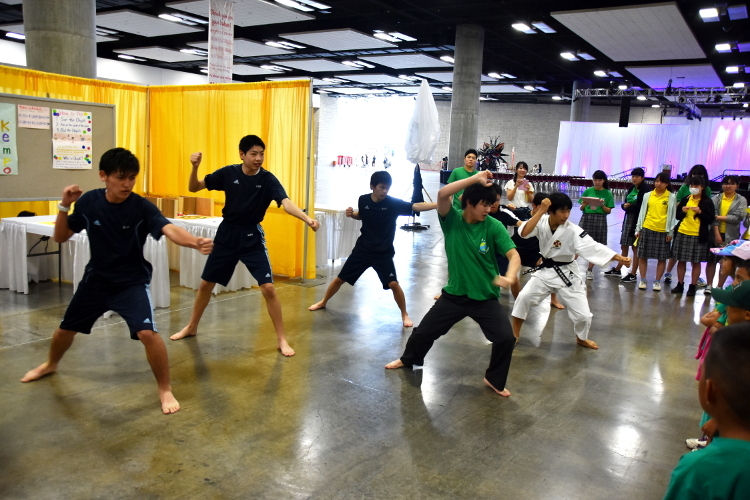 It seems that the local students love physical activities as well. 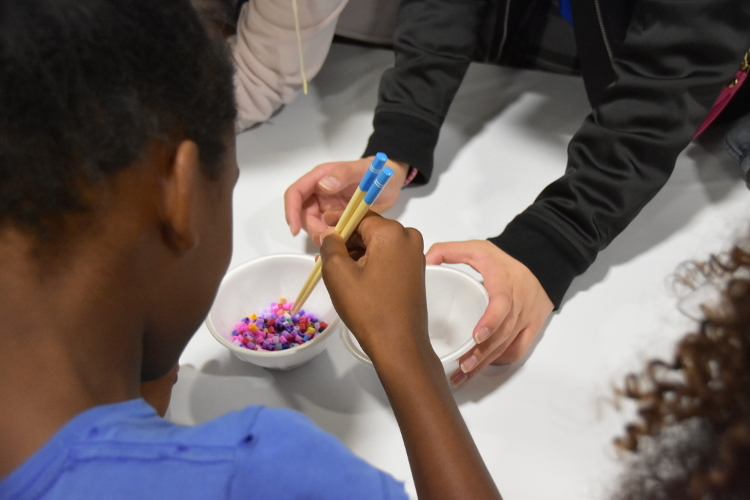 There were full of smiles. 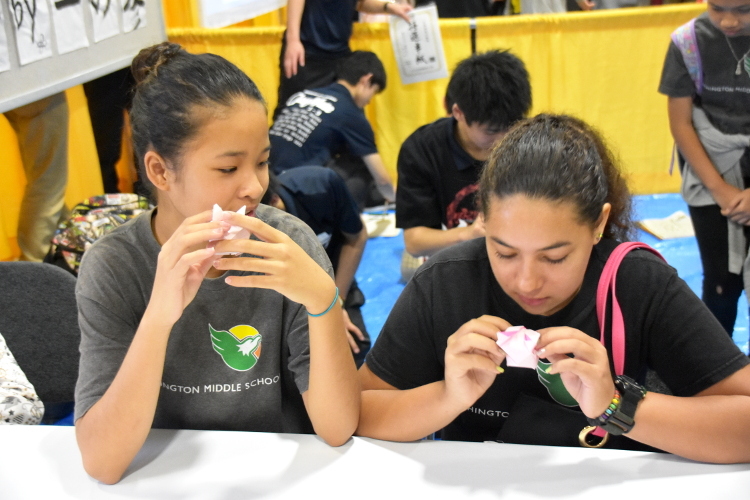 There were other activities such as kendama, spinning top, play, origami (paper-folding), kamishibai (picture card theater), ohajiki (marbles), Japanese quiz, paper balloon, calligraphy and so forth. 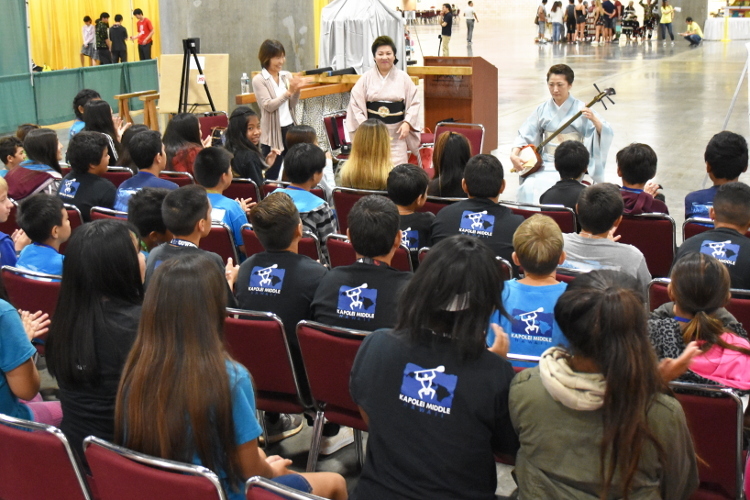 The Japanese students introduced various Japanese cultures in unaccustomed English with all their efforts. 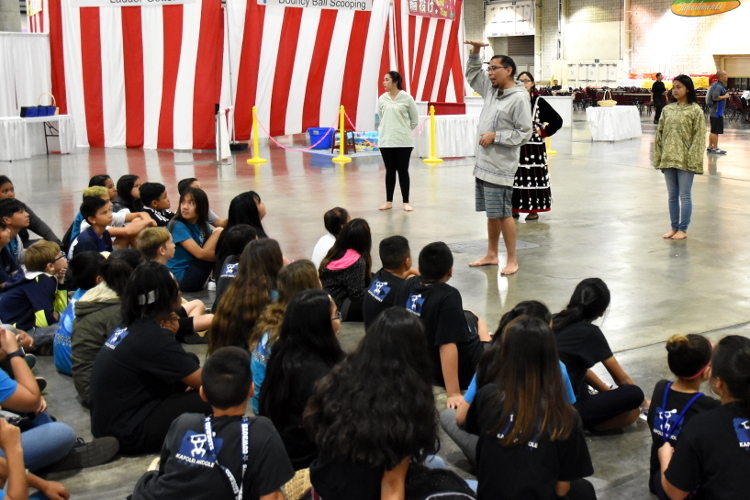 The Honolulu Festival is looking forward to make new connection via cultural exchange and expand ideas through Educational School Tour. 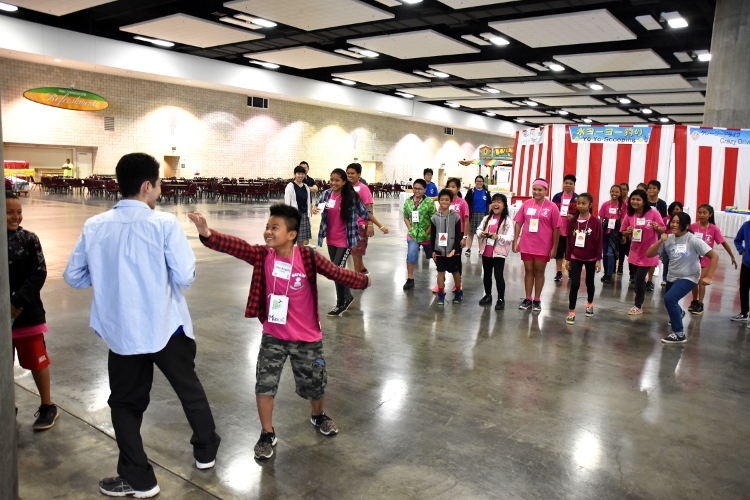 Also, the Honolulu Festival will continue to enhance the educational program for children to contribute to world peace.